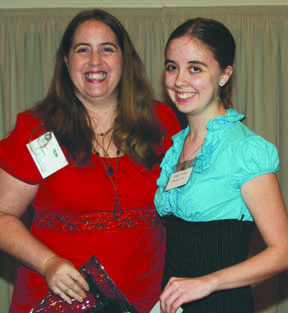 Valley of the Sun SPJ (Past) President Teri Carnicelli (left) and 2010 Scholarship Winner Leigh Anne Zinsmeister. With the increase in college tuition and decrease in available government loans and grants, we know how vital every dollar can be. That’s why the Valley of the Sun chapter of SPJ will award one $500 scholarship each spring to an Arizona student planning a career in journalism, for use in their fall semester. The scholarship is open to both university and community college students. Students applying for the scholarship need not be members of SPJ campus chapters, however, more weight will be given to student SPJ members. To download the application for 2017, click here. For more information on our scholarship program, please email info@phoenixspj.org. In the meantime, be sure to apply for the student scholarships and internships offered by the national Society.